THE MASSIVE NO.1 SUNDAY TIMES BESTSELLER. 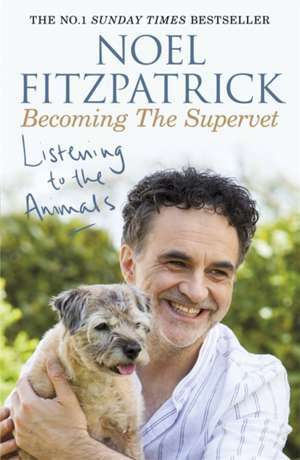 A powerful, heart-warming and inspiring memoir from the UK's most famous and beloved vet, Professor Noel Fitzpatrick - star of the Channel 4 series The Supervet.Growing up on the family farm in Ballyfin, Ireland, Noel's childhood was spent tending to the cattle and sheep, the hay and silage, the tractors and land, his beloved sheepdog Pirate providing solace from the bullies that plagued him at school. It was this bond with Pirate, and a fateful night spent desperately trying to save a newborn lamb, that inspired Noel to enter the world of veterinary science - and set him on the path to becoming The Supervet. Now, in this long-awaited memoir, Noel recounts this often-surprising journey that sees him leaving behind a farm animal practice in rural Ireland to set up Fitzpatrick Referrals in Surrey, one of the most advanced small animal specialist centres in the world. We meet the animals that paved the way, from calving cows and corralling bullocks to talkative parrots and bionic cats and dogs. Noel has listened to the many lessons that the animals in his care have taught him, and especially the times he has shared with his beloved Keira, the scruffy Border Terrier who has been by Noel's side as he's dealt with the unbelievable highs and crushing lows of his extraordinary career.